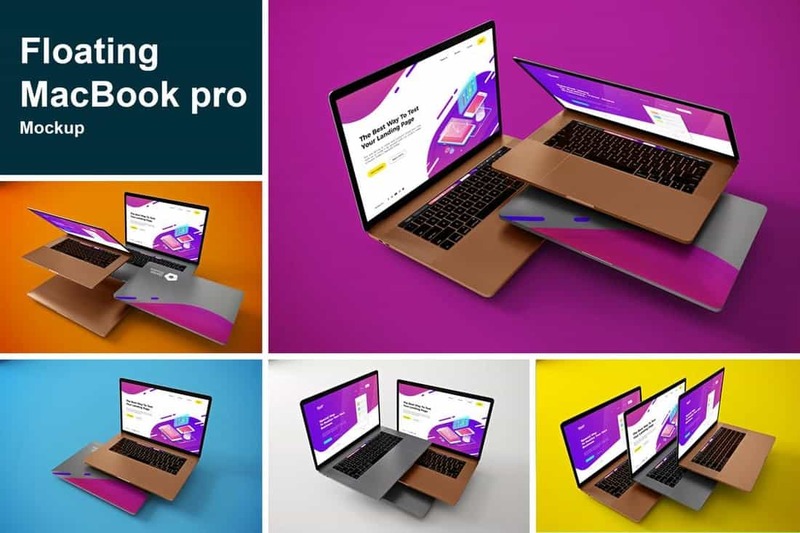 This bundle of MacBook Pro mockups includes 5 different templates featuring creative and colorful settings. The templates are available in 4500×3000 px resolution with smart objects for easier editing. A collection of 15 minimal and modern laptop mockups featuring various background settings and isolated items. The templates are fully customizable and you can change the colors, backgrounds, and the shadows however you want. This elegant MacBook laptop mockup features a straight front-view of the device. The template comes with fully organized layers, smart objects, and editable effects. You can customize it using Photoshop CS5 or higher. 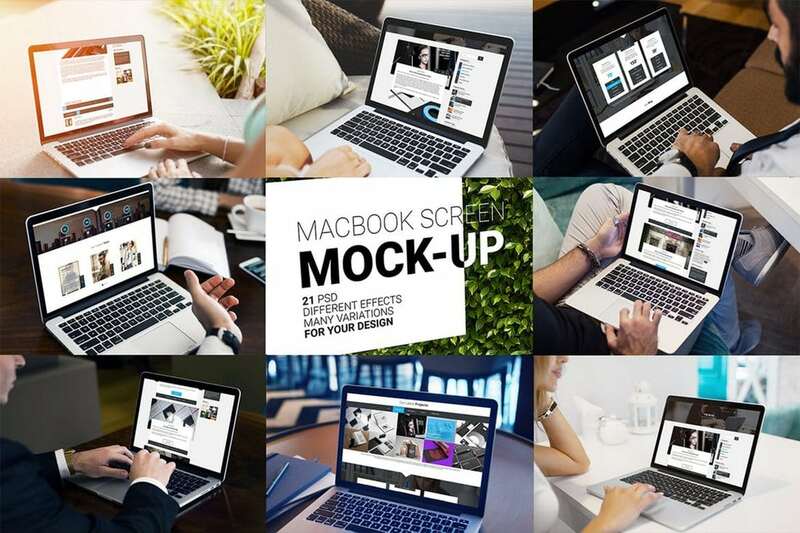 This is a bundle of 12 high-resolution laptop screen mockups featuring a 15.6-inch MacBook Pro. The templates are available in 3800 x 2800px resolution with changeable backgrounds and colors. This minimalist and simple laptop mockup can be easily customized to change colors and backgrounds to make it fit any background setting you want. The template features smart objects as well. 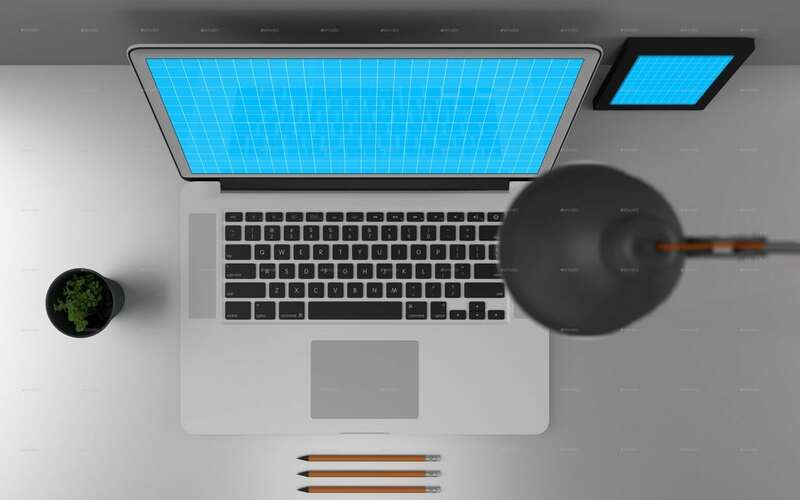 This mockup template features a working environment with a desk full of objects. 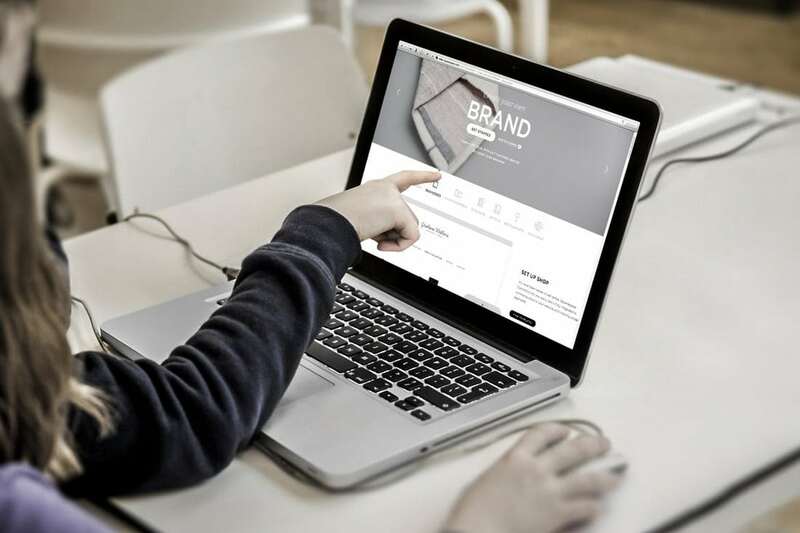 It’s ideal for using with your portfolios, website designs, and social media promotions. The bundle includes the mockup in different angles and lighting settings as well. This unique MacBook laptop mockup is perfect for designing an attractive website header to showcase an app or a website. 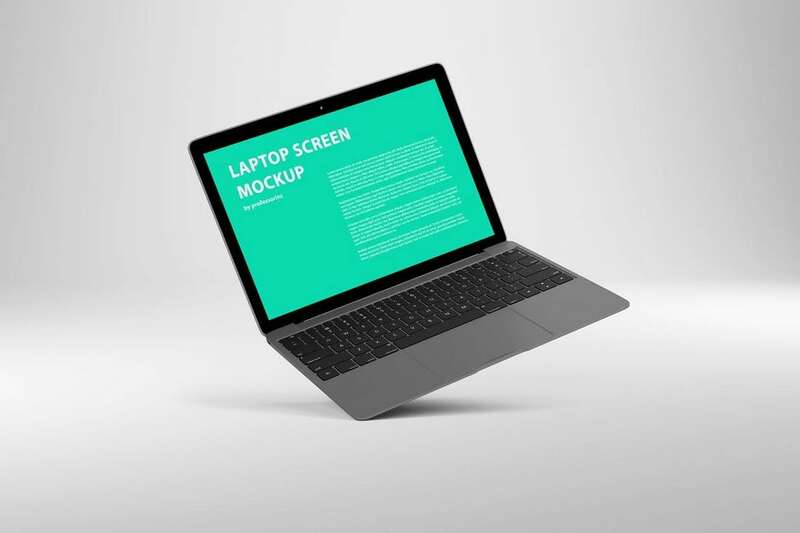 The mockup template allows you to show off multiple screens in a stylishly angled floating laptop. It’s also quite easy to edit and customize, thanks to smart objects. This mockup template is ideal for using with minimalist designs and flat color themed designs. The mockup features a colorful and a quirky papercraft laptop model for showcasing your designs. It’s fully customizable. You can change colors and separate parts of the device if you like. And you’ll be able to choose from 6 different paper art illustration styles as well. 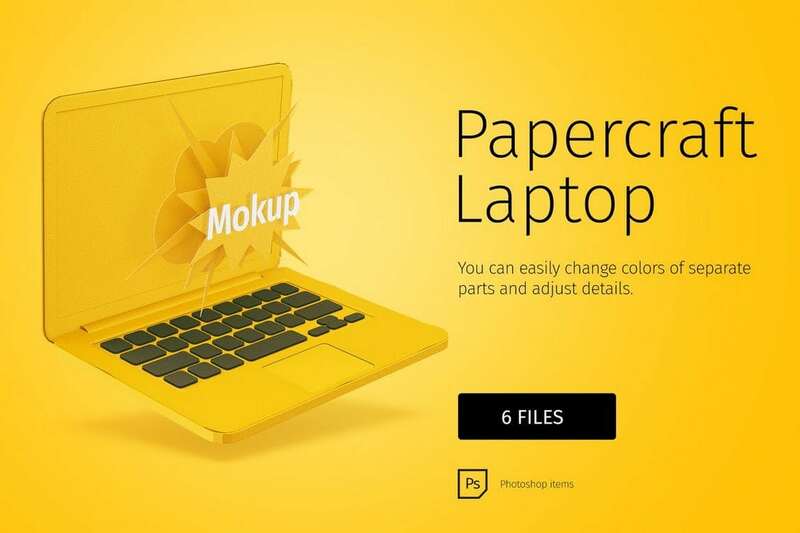 A bundle of laptop mockups for all kinds of design needs. This bundle comes with 21 MacBook Pro mockups featuring different background settings, angles, and environments. 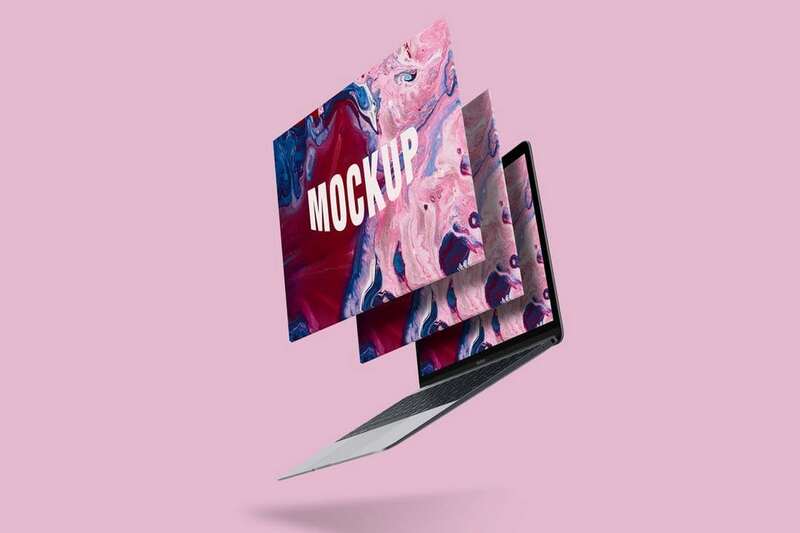 Based on real-photo backgrounds, these mockup templates will come in handy for almost any kind of a design project you’re working on. Featuring the space gray MacBook laptop, this angled mockup template comes in a 4000 x 3000 px resolution PSD and in 6 different variations fully-equipped with smart layers. You can easily add your designs into the mockup and change backgrounds as well. 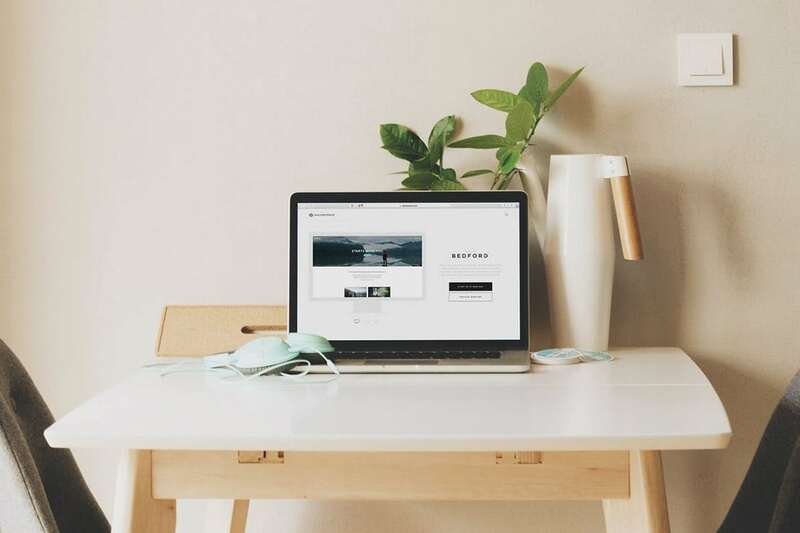 The natural and the creative environment of this mockup template makes it the perfect choice for designing a website header or a social media page cover. The template comes in 6 PSD files featuring different angles and light settings. The template can be edited using its smart objects. Most of the time you have to showcase several different features of a website or an app in a website design. You need more than one mockup for this job. 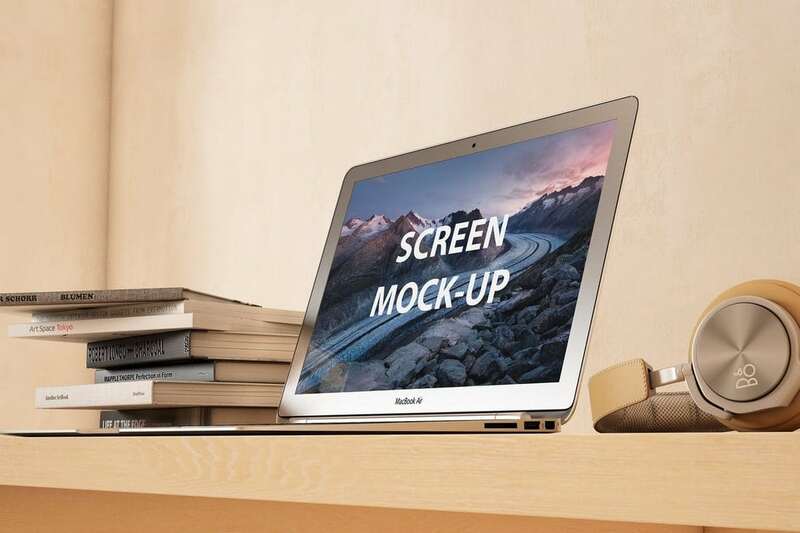 This laptop mockup bundle will help you in such situations. 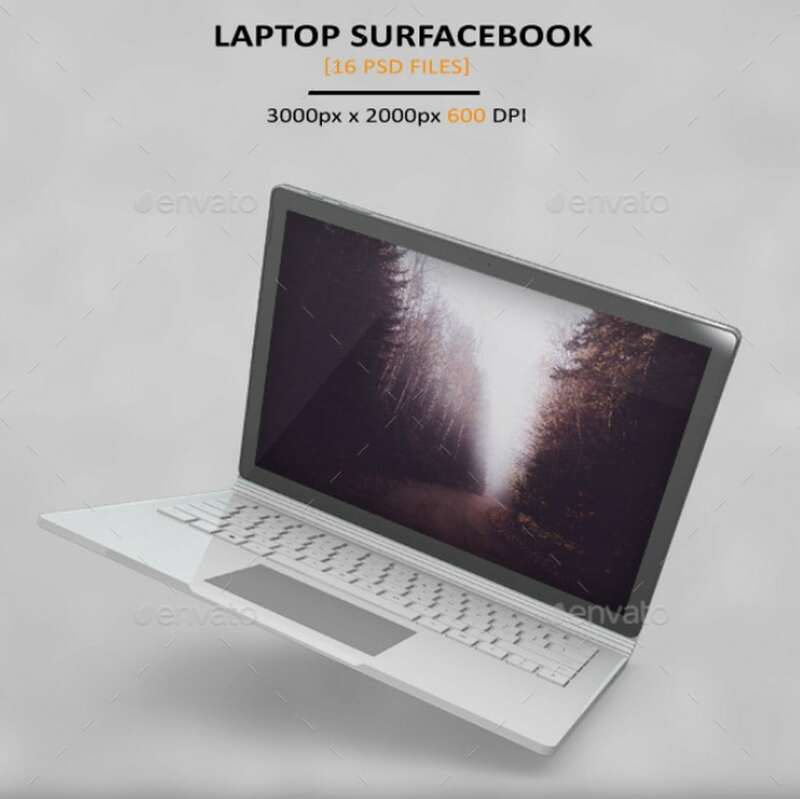 The bundle comes with 12 different laptop mockups featuring different angles and poses. 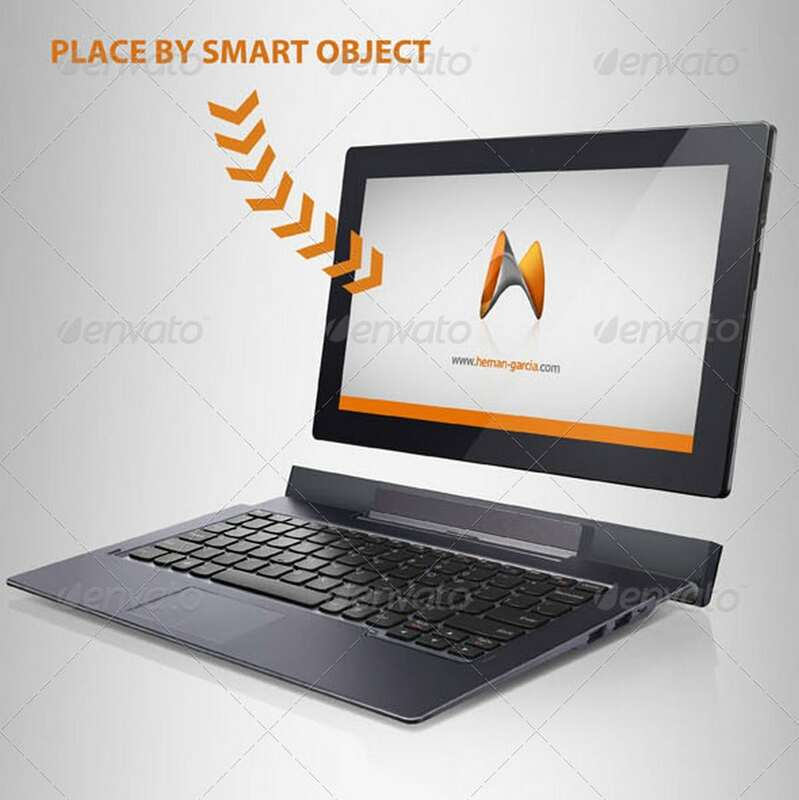 This laptop mockup template features a hand pointing towards the screen. It creates a great scene for showcasing your app screenshots and features to an audience. 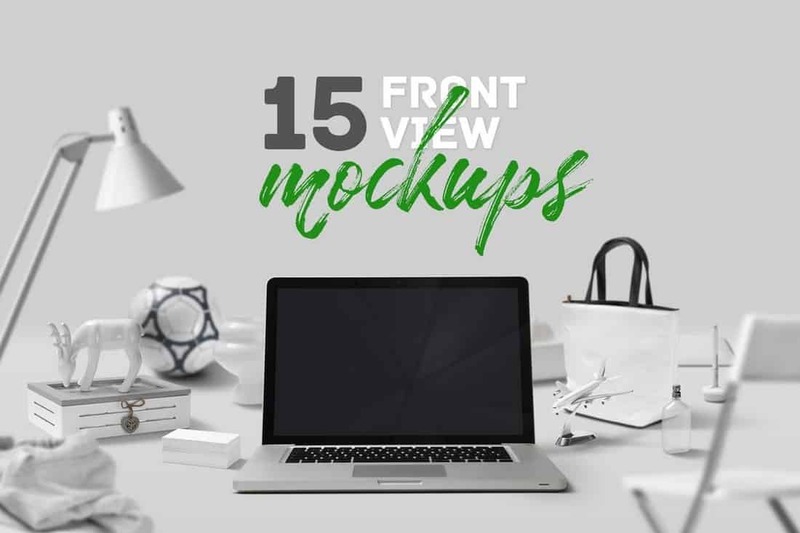 The mockups pack comes with 6 different template featuring different angles. You can use it with website designs, social media graphics, portfolios, presentations, and more. 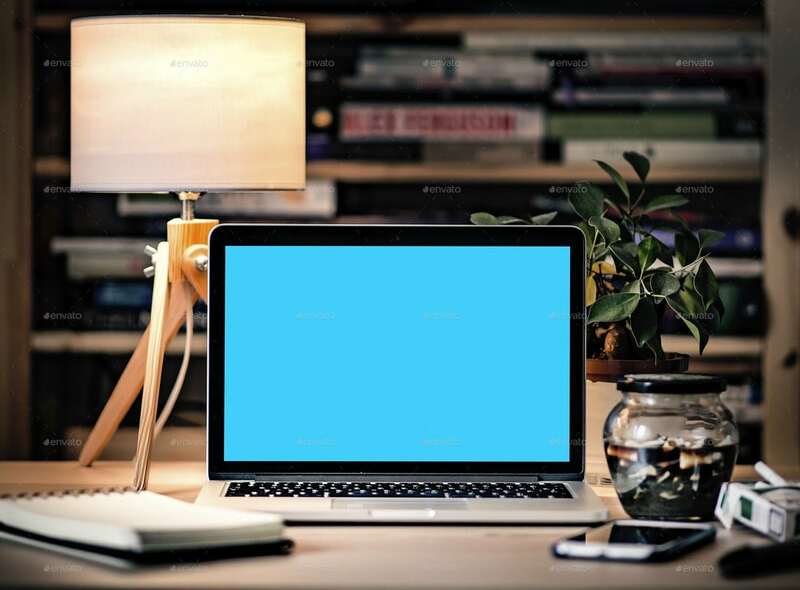 Give your audience a hands-on view of website and app designs using this laptop mockup template. 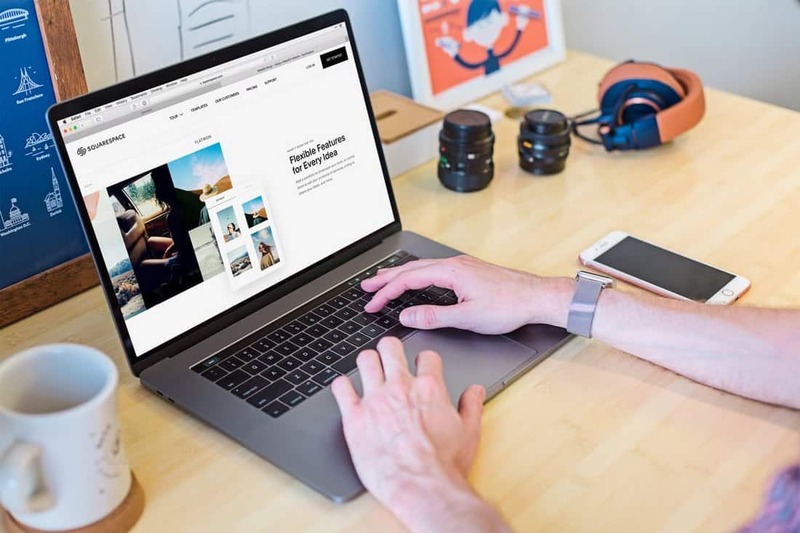 This template features a businessman using a laptop, making it ideal for showcasing business and professional product designs. This elegant laptop mockups bundle comes with 5 different templates featuring photorealistic backgrounds and views. The mockup templates are available in 4000 x 3000 px PSD files and include 3 unique photo filters for adding a stylish effect to your mockups as well. 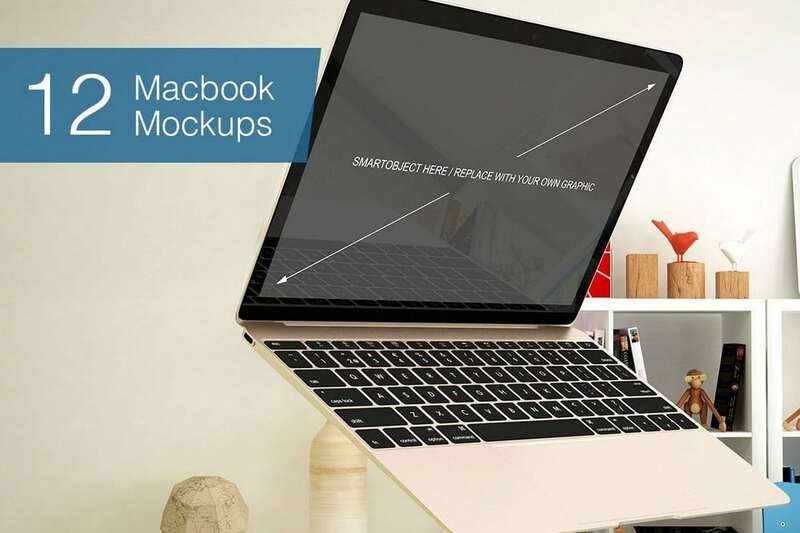 This mockup templates bundle includes the all-new MacBook Pro laptop with the touch panel. The pack comes with 8 templates featuring different angles and views of the Apple laptop. You’ll also be able to choose from 3 different color variations of the laptop: Light grey, space grey, and rose gold. Even though Surface Pro is technically a tablet, it’s widely used for laptop work since it comes loaded with Windows 10. 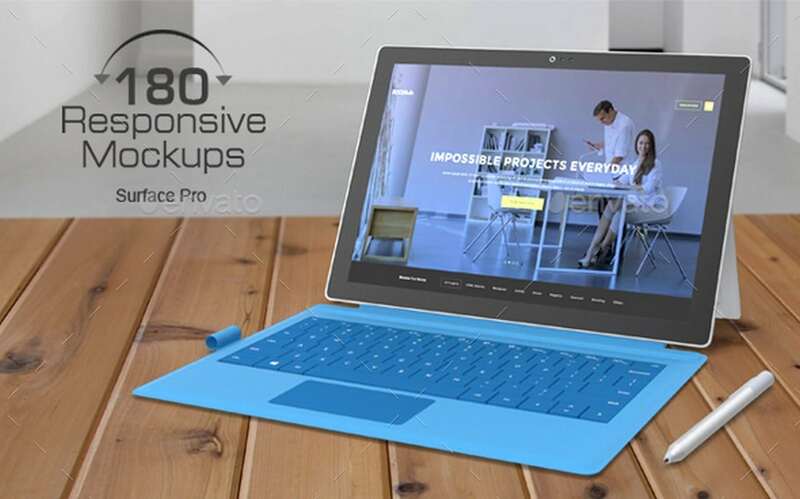 This mockup template bundle includes 9 different mockups featuring a 180-degree view of the Surface Pro. It also includes the Surface Pen and lets you customize the device keyboard color as well. 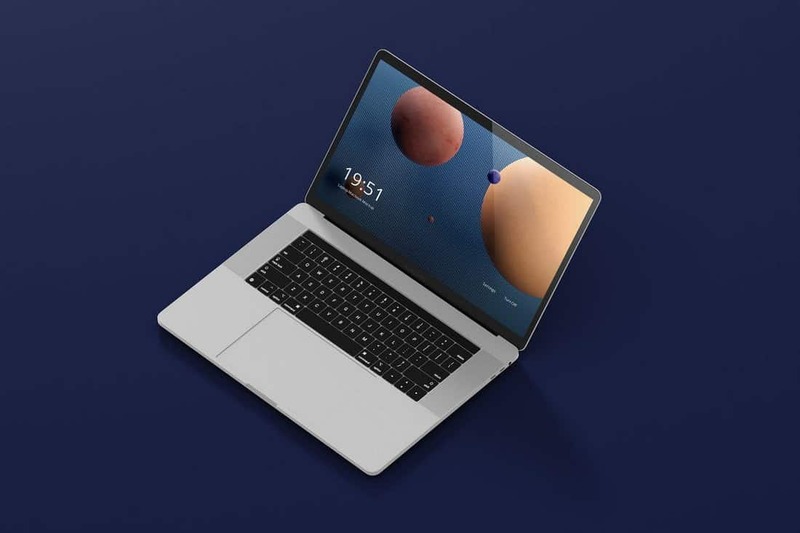 This mockup is a rare mockup template featuring a CGI model of the Microsoft Surface Book laptop. 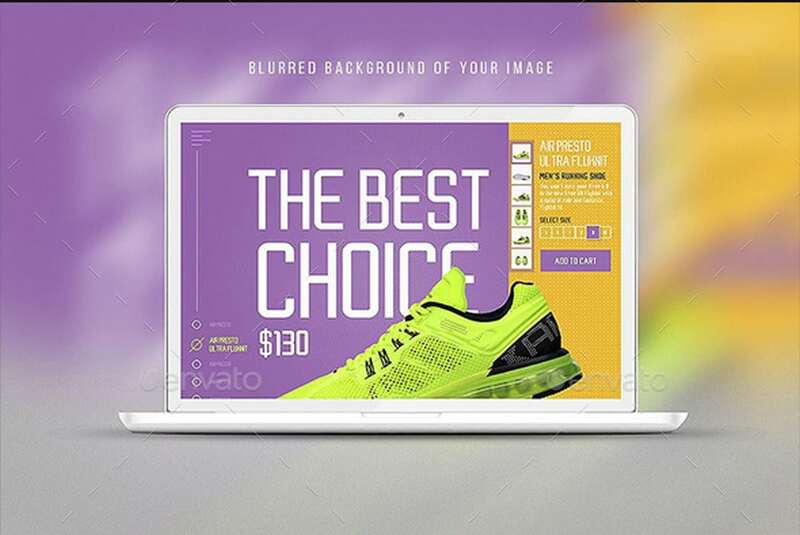 It includes multiple templates with different views and angles of the device as well as 15 backgrounds for creating unique presentation designs. 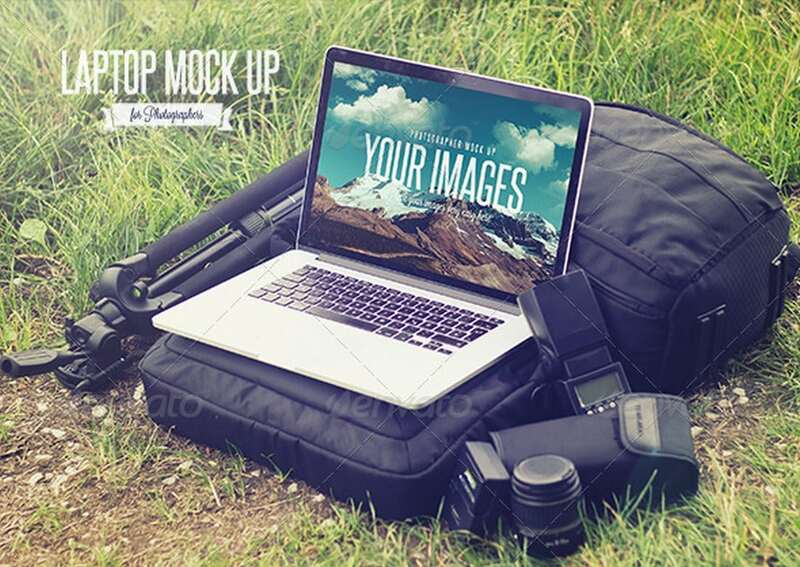 This mockup bundle also comes with a Windows laptop featuring real-photo based backgrounds. It includes 9 different mockups with different views of the laptop as well as with natural backgrounds. The PSD files are available in 2592 x 1944 px resolution and can be customized with Photoshop CS5 or above. If you’re looking for a stylish convertible Windows laptop mockup to showcase your design, this mockup template will come in handy. 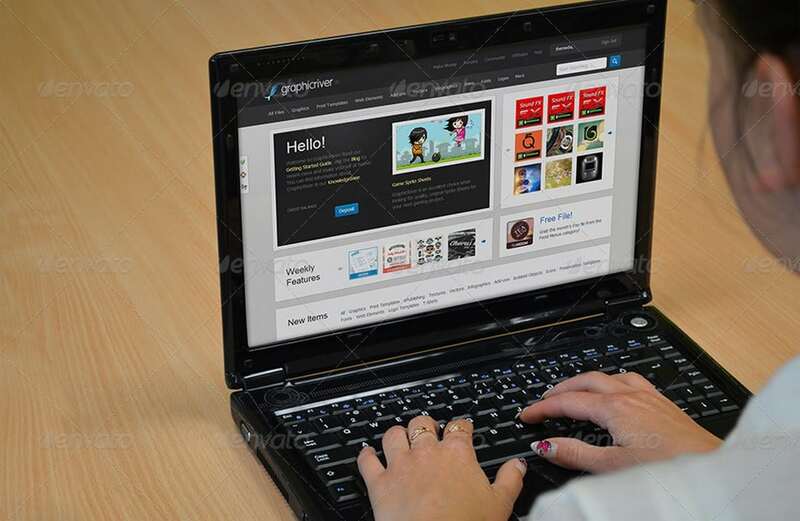 The template features a Windows laptop in several different angles, including a convertible view of the device. This professional laptop mockup features a front-facing laptop, making it ideal for use with your website headers and marketing promotions. The template comes in 3000 x 2000 px resolution and lets you easily customize it using smart objects. 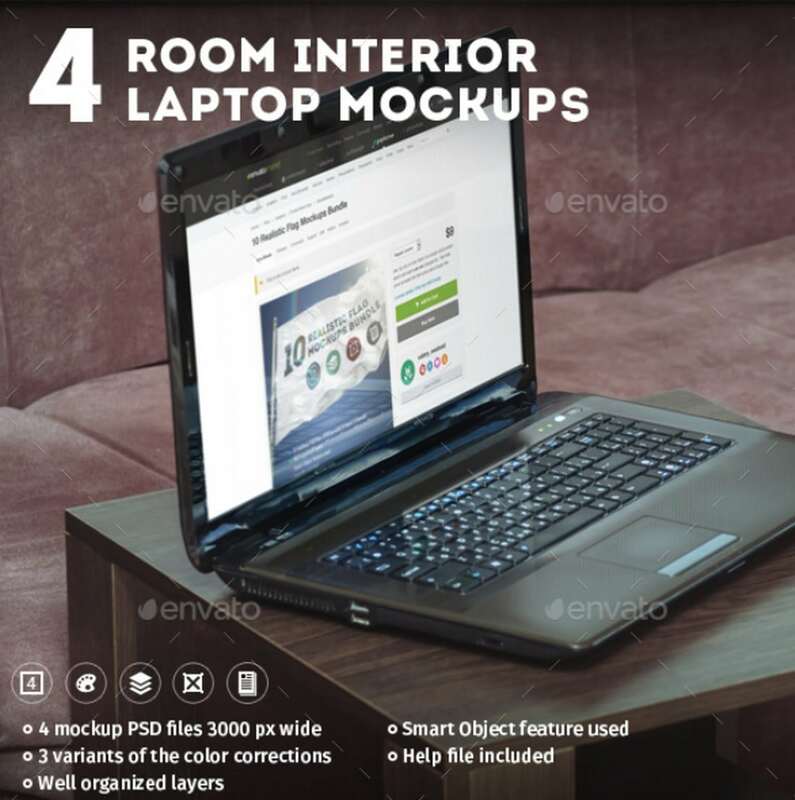 This pack of laptop mockups features photorealistic backgrounds where it shows a room interior. It comes with 4 different mockups with different views and 3 different variants. These mockups are great for showcasing your designs in a portfolio or for client presentations. 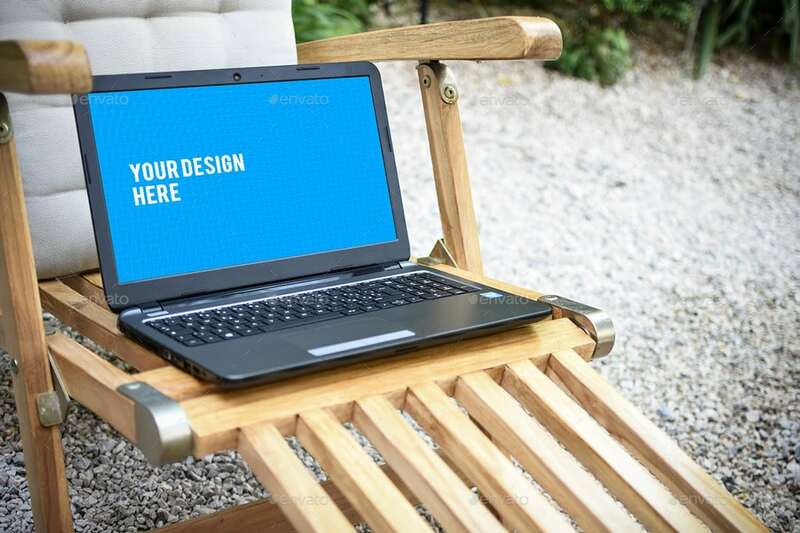 This mockup template features a natural background setting that makes it look like a photographer’s laptop. It features a camera and other gear. The template is perfect for designing a portfolio or a website for a photography related business or a professional. 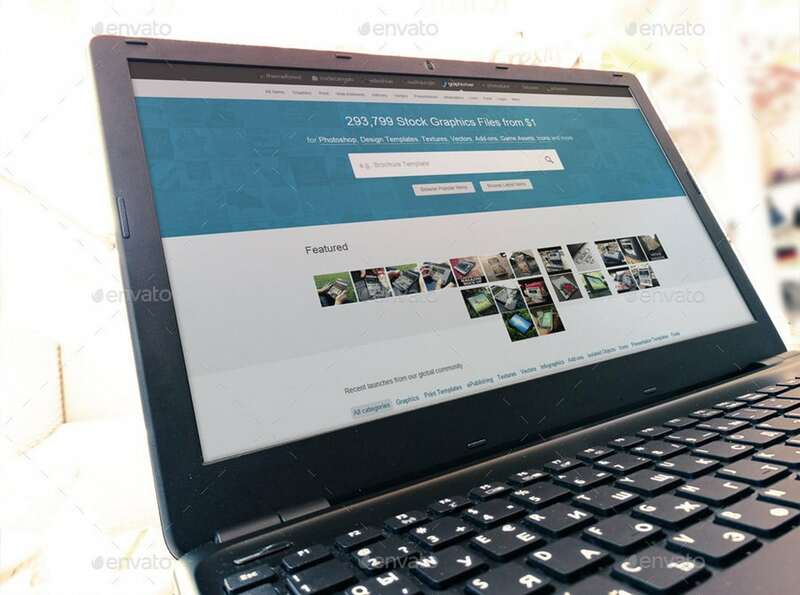 This laptop mockup templates bundle is designed for crafting website hero images and header images. 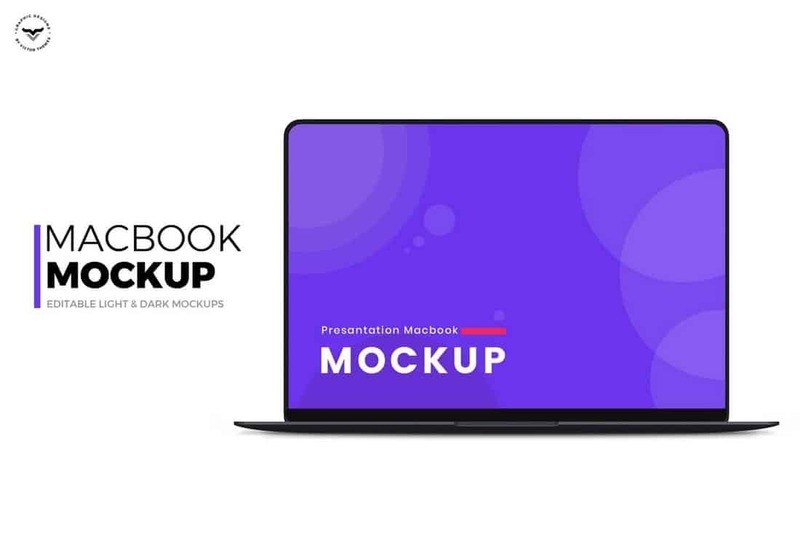 The pack includes 5 different mockup templates featuring a MacBook Pro and several unique backgrounds. The templates are fully-customizable as well. Featuring a nature-inspired outdoor environment, this bundle of mockup templates allows you to showcase your app, websites, and graphic designs in a more professional and a creative way. It includes 4 different mockup templates in layered PSD files. 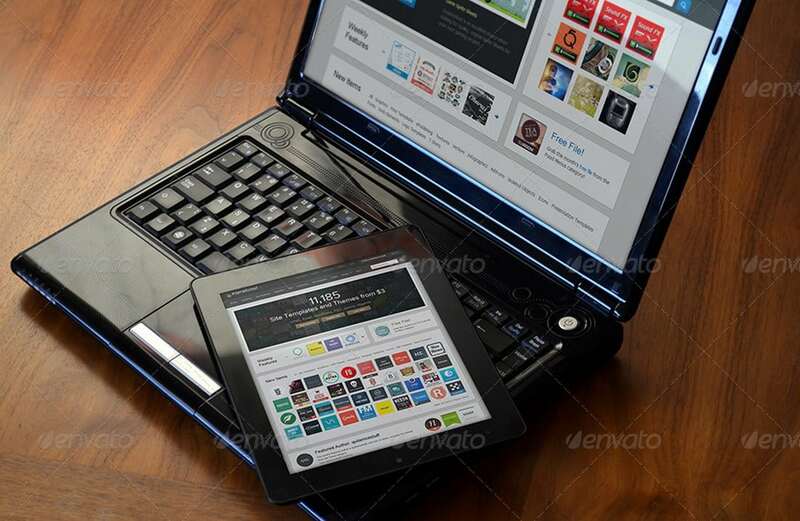 The mockup templates in this bundle feature both a Windows laptop and a tablet. This allows you to show off your designs on both desktop and mobile views at the same time. The pack comes with 5 different mockups featuring different angles and views of the devices. 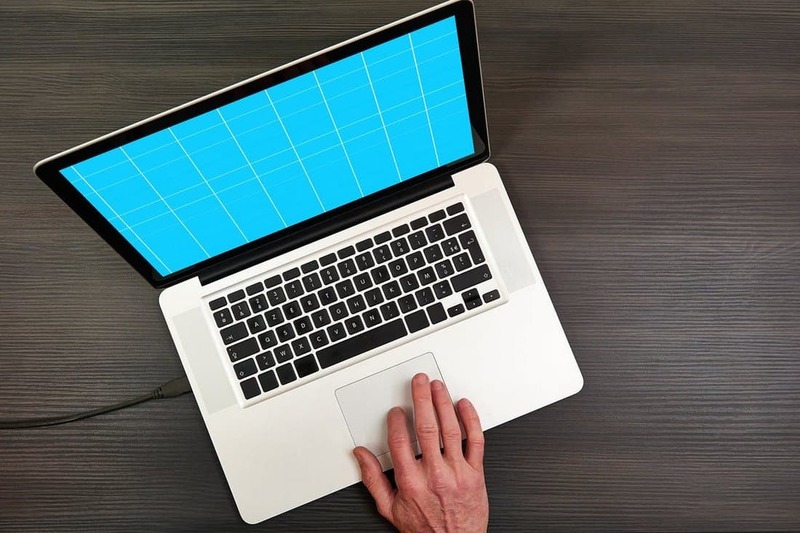 Another pack of mockup templates that shows a woman working on a laptop. 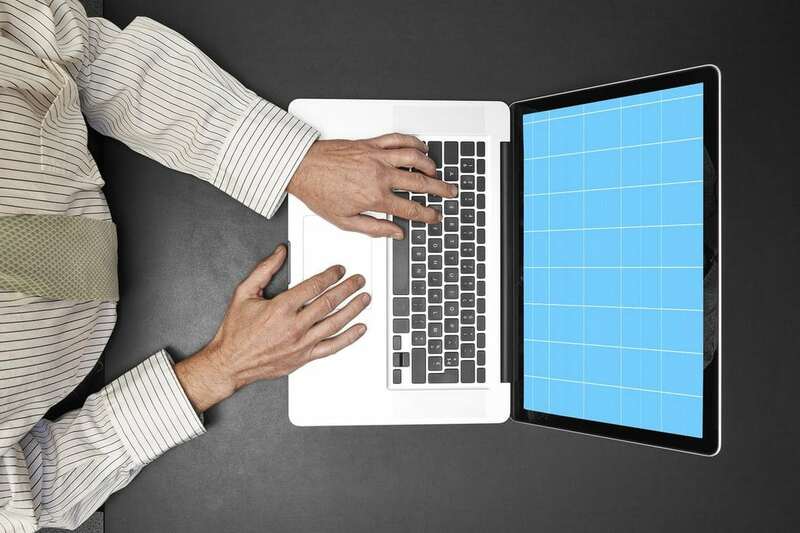 It includes 3 different laptop mockups featuring different angles of the device and an additional smartphone mockup being held by a hand. 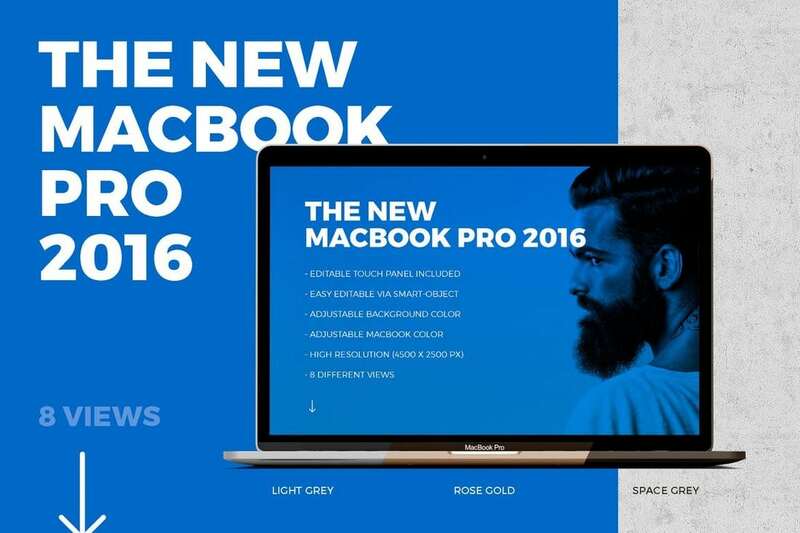 A set of 3 professional laptop mockups featuring the elegant MacBook Pro. This pack features mockup templates with creative background environments. Which makes them perfect for using with your portfolio designs and website designs. 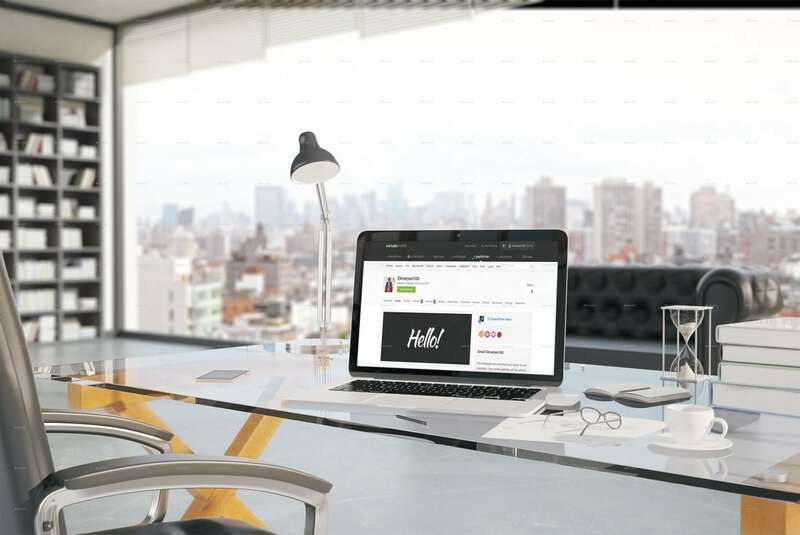 This bundle comes with 4 unique laptop mockup templates featuring a professional office environment. The templates are available in easily editable 4500 x 3000 px PSD files.